Knowing how to choose the material that best suits your needs when it comes to taking pictures is essential. Everyone knows that in photography nothing is cheap, so before buying anything I recommend that you think about whether it’s really something that you need. 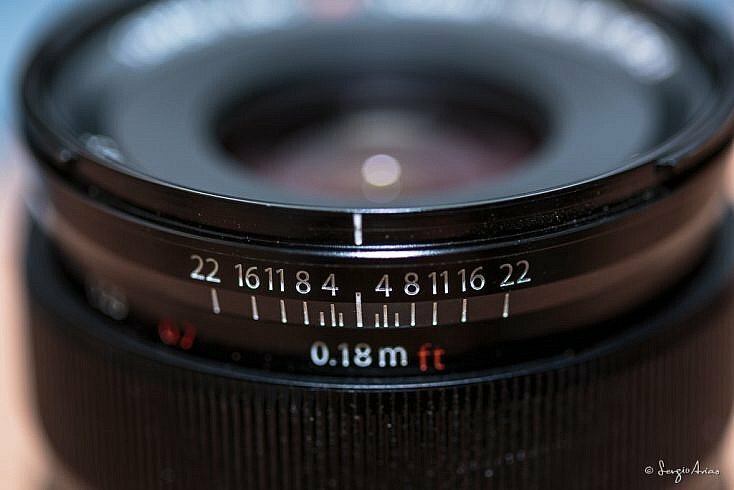 Lenses are the most expensive things in photography, sometimes costing even more than the camera itself. That’s why it’s worth being well informed and reading many of the analyses and reviews that can be found on the internet. 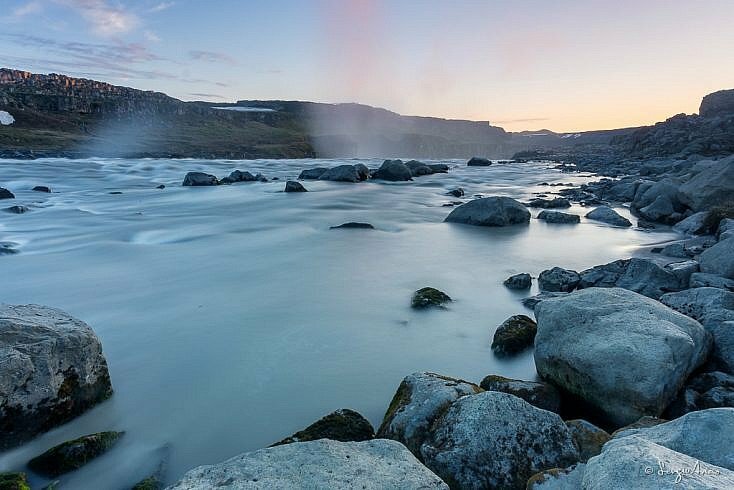 If you’re thinking of buying a wide-angle lens, then I’ll tell you what criteria you should consider when deciding on one or the other. 16mm in a camera with a full frame sensor. The viewing angle is quite large, even deforming the elements that are very close, giving the feeling that the objects in the background are much smaller than they really are. 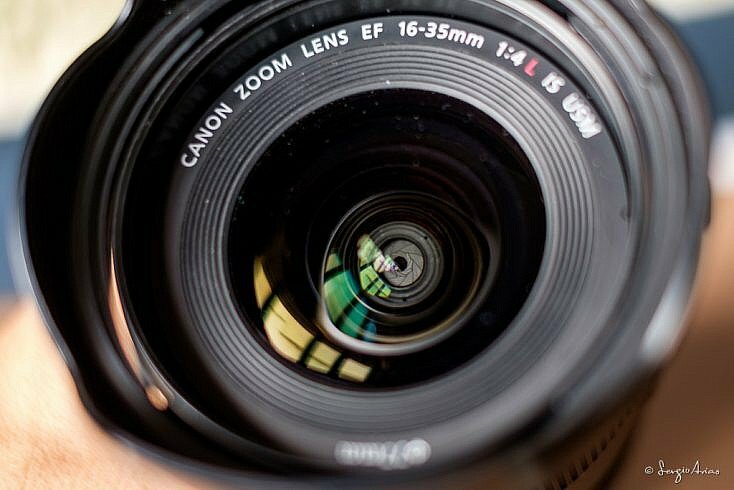 The first thing to keep in mind before buying a lens is knowing the type of sensor your camera has. The sensor size determines the equivalent (real) focal length of your lens. 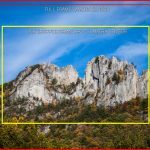 If your camera has a full frame sensor or a complete format, then the lens’ focal length is the effective focal length, meaning that you are taking full advantage of your lens. However, if your sensor is smaller you have to take the trim factor into account. For example, if the trim factor is 1.5x, for a 50mm lens the equivalent focal length would be 50 * 1.5 = 75mm. It’s as if you had mounted a 75mm on a full frame sensor. This is very important when making the decision. To know what sensor your camera has just look up your model on the internet and check the specifications. 14mm in a camera with APS-C sensor with 1.5x cut-off factor (focal length equivalent to 21mm). Compared to the photograph above, it’s easy to see that we can’t obtain the same viewing angle, not even if we have 2mm less focal length. When someone is looking for a wide-angle lens, they want to capture a very large viewing angle. These targets are ideal for indoor, city or landscape photography. The idea is to capture as much of the scene as possible. A wide-angle lens with a focal length of 24mm on an APS-C sensor with a 1.6x trim factor would show me an equivalent focal length of 24 * 1.6 = 38.4mm, so the viewing angle is a lot less than 24mm in a full frame sensor. Everyone has in mind what they want to photograph so one way to know which focal length will be best is to look at pictures made with each lens. 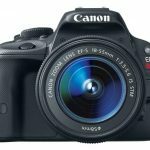 There are many pages that display the EXIF data of photographs, ie parameters such as shutter speed, aperture, ISO, camera, lens and focal length. Some examples may be 500px.com or flickr.com. It can also help you get an idea of the quality of the lens. Therefore, if I have a full frame sensor, I would have to look for lenses that were 14mm to 40mm, since that’s the actual focal length. If I have a smaller sensor I’ll have to apply the trim factor to find the equivalent focal length. For example, for APS-C, you could look for a lens with a focal length of 10mm, and it would stay at 10 * 1.6 = 16mm. Another aspect to consider is whether we’ll use filter holders. If this is the case we’ll have to check that it is not going to be vignetted. 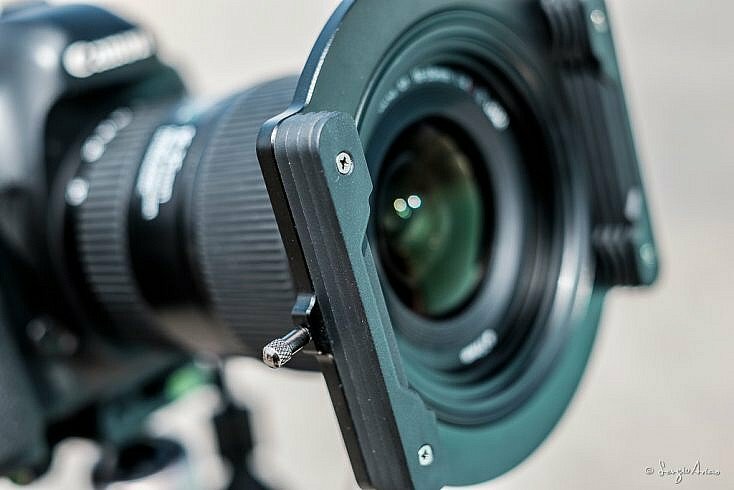 These lenses have such a wide viewing angle that any element placed on it can be seen. The filter holder can be seen if we have a wide angle, so we’ll have to buy the right material to avoid this. The same thing happens with screw-on filters. Let’s see if we need a slim filter, thinner so it doesn’t vignette. Another important factor can be the brightness. The type of photography that we do will determine how crucial brightness is. If I need a bright lens it’s because I’m going to work in low light conditions. For example, indoors or night photography. Unless you acquire a fixed focal lens, wide-angle lenses are usually not very bright, most reaching f/2.8, usually bring f/4. This would be ideal, especially if we’re doing night photography. Brighter lenses are more expensive, so you can always consider the option of uploading the ISO. When you have reached the maximum ISO and you have opened the diaphragm to the limit, speed will be decisive. If you photograph static elements it won’t be a problem shooting at slow speeds. There are even wide-angle lenses that have an image stabilizer or even the option of using a tripod. The problem comes when there’s movement by people or objects. That’s when a more open diaphragm makes a difference. 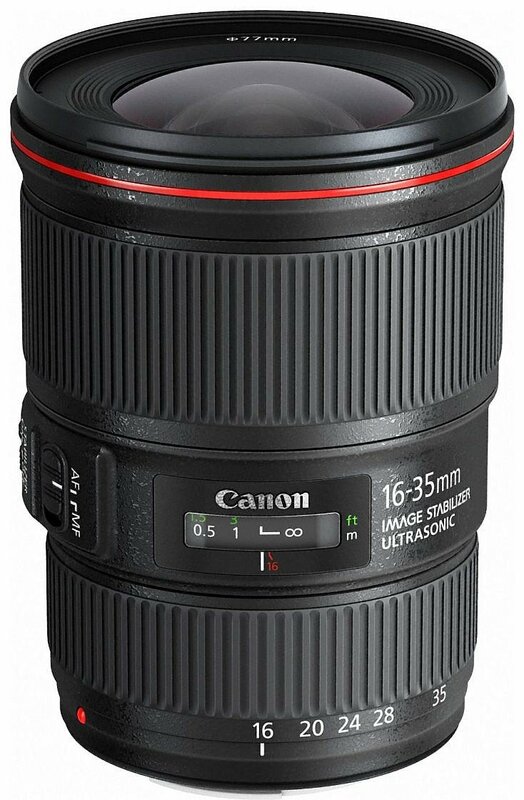 The Canon 16-35mm f/4 IS lens has a stabilizer. At first I thought that in an angular it wasn’t necessary, but after several years with it, it has served me on many occasions. A zoom lens is more versatile, since you can’t always scroll. In my case, when doing a lot of nature photography, the conditions didn’t allow me to place myself where I wanted to be, so I used zoom. However, in other situations, such as social photography, where there is more mobility, a fixed focal lens is also sufficient. The advantages of fixed focal lenses are that they are usually cheaper and are higher quality. They are also smaller and weigh less. But more importantly, there are models that are much more luminous than a zoom lens, even reaching f/1.4. 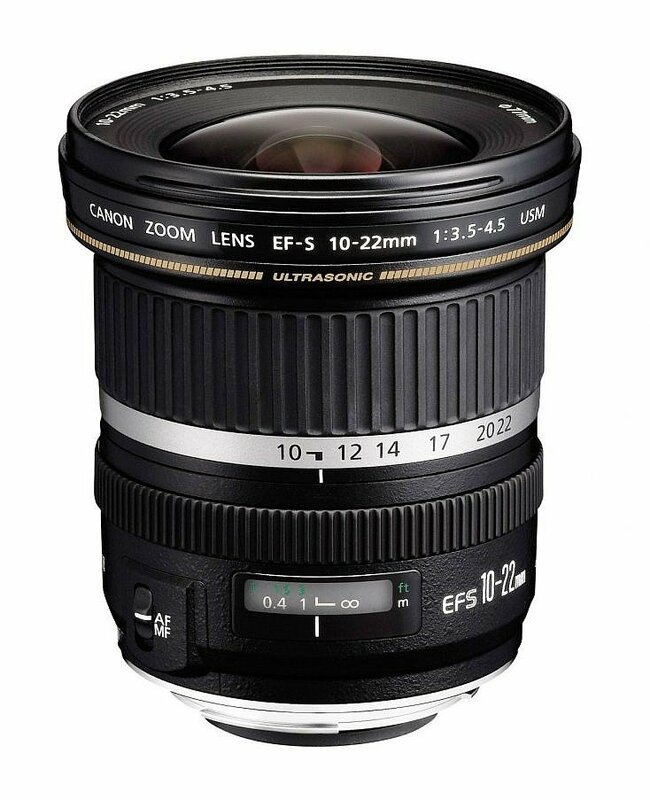 Fujinon 14mm f/2.8 lens that has a scale to focus on hyperfocal. Distances appear in meters and feet. If you photograph in conditions where the weather can affect the lens, it’s necessary that both your camera and your lens are sealed. So, if it rains nothing fails or gets damaged because of getting wet. Dust can also be our worst enemy. If this is not a problem for you, then you certainly don’t need to consider this aspect of photography and you’ll save a lot of money. For me quality is everything, although it comes a price. Quality is another factor to take into account, and it depends a lot on how much money we are willing to spend. I used to say that fixed focal lenses are cheaper, so if your plan is to have a quality lens at a good price, it might be your best choice. The quality of a lens is determined by several aspects. Obviously, we’re talking about optical quality. What must be considered is both the optical quality of the glass in the center and at the corners. For this there are a number of graphics offered by the manufacturer, which follow a standard. These are the MTF charts. However, there are a multitude of pages that perform analyses, both at the theoretical level (MTF charts) and at the practical level (field tests with real examples). Next I’ll leave you with some recommendations so that you have some reference. 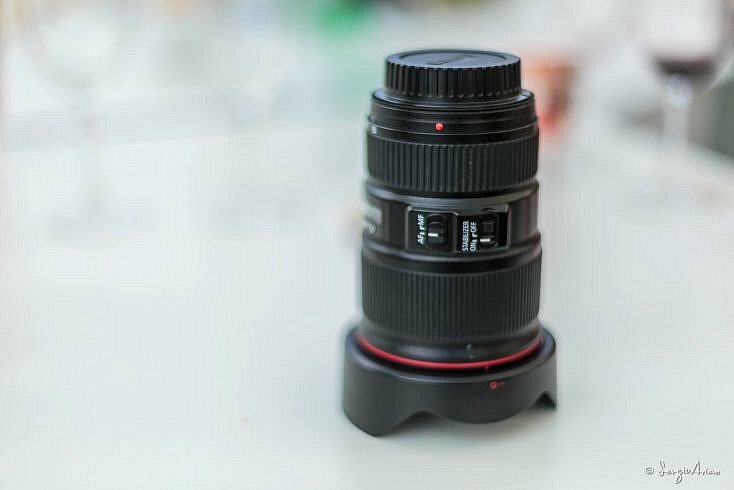 This lens is only valid for APS-C sensors, so its equivalent focal length is 16-35mm. The quality/price is really good, you can find it on amazon for less than 600$, and for a little more than 300$ secondhand. Another model that works on both Canon and Nikon and is considered the best wide-angle lens for APS-C sensors. Its price on amazon hovers above 415$, and is about 370$ secondhand. 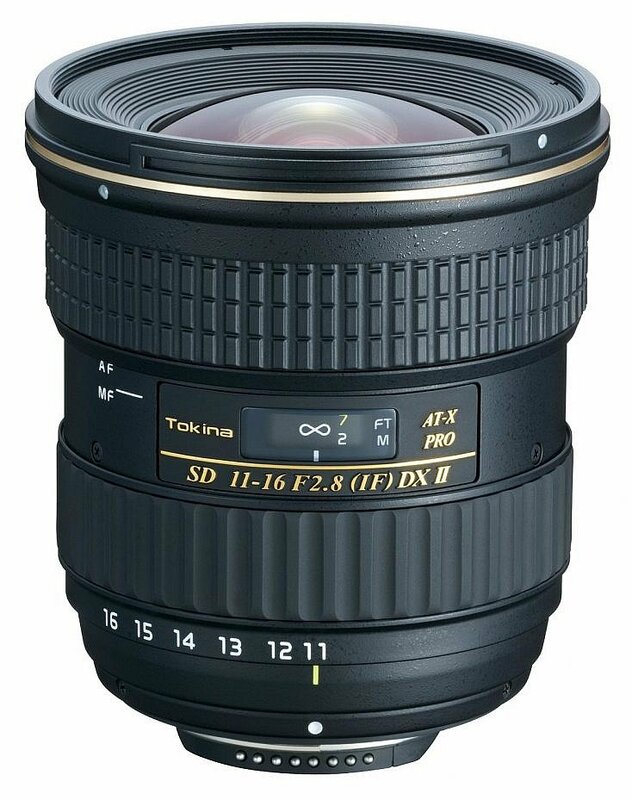 If you want to buy a quality lens at a good price, you must have the 17-40mm f/4 without doubt. This lens costs about 750$ brand new on Amazon but it can be easily found on a second-hand market at around 450$. 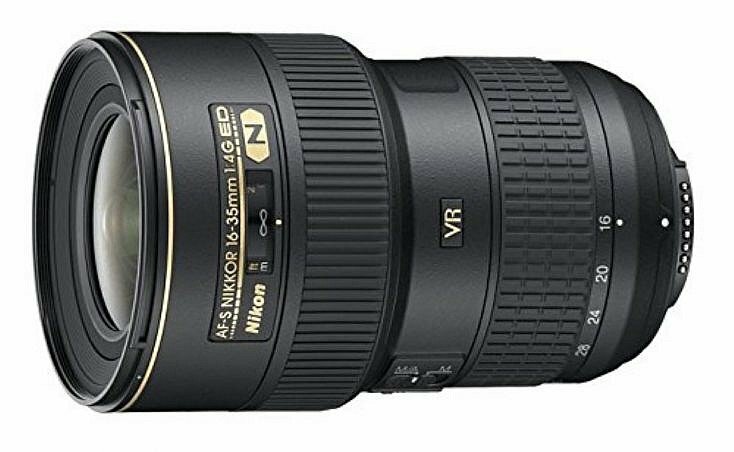 Many professional photographers have used this lens for years until the new version arrived to market. Now, when optical quality is what comes first, prices skyrocket without doubt. But if that is what you are looking for, you have to get one these lenses immediately. 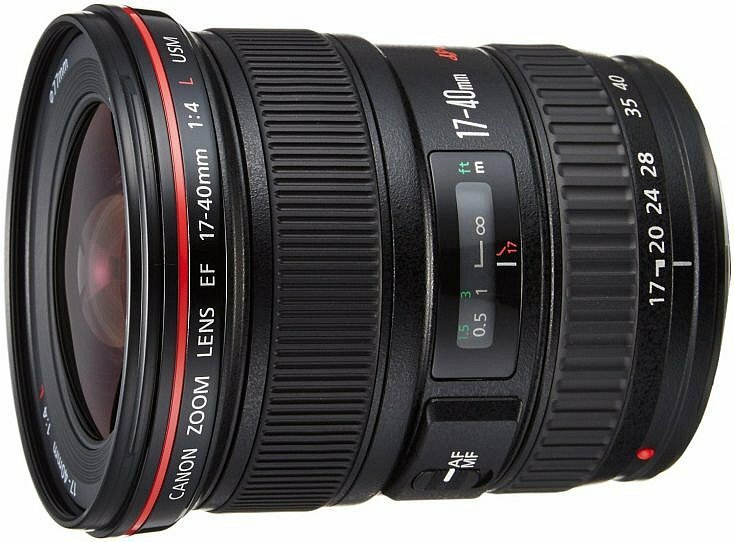 This lens hit the market in 2014 in order to replace the 17-40mm f4, a lens that many users had and which needed an update. Canon fell a bit short with this lens, so it developed the best wide-angle zoom of the brand. The focal length changed a little, staying a bit behind the previous model, but the optical quality far surpassed it. The greatest difference can be seen around corners. 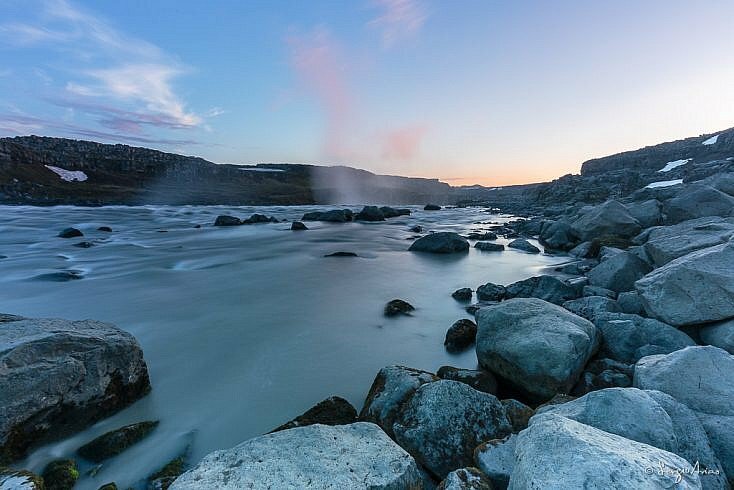 The Canon 16-35mm succeeds at great definition in both the center and the corners at f4. Plus, it is equipped with an image stabilizer that allows you to shoot at very slow speeds. I have taken clear shots at less than 1/15 seconds. Last but not least, its diameter of 77mm is the same as the previous model and the same as some other lenses within the same range, so we do not need to buy any filter or adapter. Its price goes around 1000$ on Amazon (it is basically the same since it went on sale). However, it can be found at around 700$ on second-hand markets. Just as the Canon model, it has an image stabilizer, the same focal length and the same aperture. Now, definition is one the elements that characterizes this lens. It even surpasses Nikon 24-70mm f/2.8G at both center and corners. If you are a Nikon user, this is your best option without any doubt. When somebody asks me about what lens to buy, I always reply by asking how much is his or her budget. The price is key after all. I always recommend investing in good lenses because they can last a long time if taken proper care. Cameras start getting outdated and technology moves forward at a high speed. There are lenses for all price ranges but saving money to buy the one you need is always worthy. Basically, I buy a lens when I want to take shots at a specific focal length. In the case of wide angles, it is because I want a wide angle of vision; that is why I bought model 16-35mm f/4. Whether I have a lake, the sea or a cliff in front of me (which happens a lot), I can change the framing without moving thanks to its zoom. Brightness is another common reason. The more I can open the diaphragm the less depth of field I’ll get. If you like blurring out the background, you need a very bright lens. However, this is not one of the main requirements in a wide-angle lens since, due to its focal length, depth field is quite big. I also recommend you to take a look on second-hand markets. There are brands which are very demanded, and there are many reliable websites where this kind of transactions take place. Now, make sure to contact a reliable seller and arrange a rendezvous to test the lens, if possible. Prices are far cheaper than new lens, and you might even find a bargain. Next Nikon D7500 – The new 4k video recording camera by Nikon.